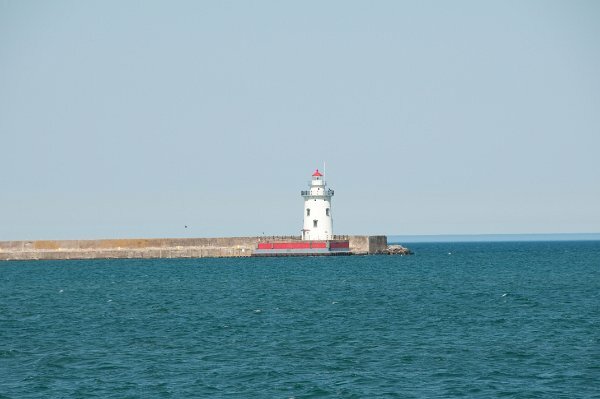 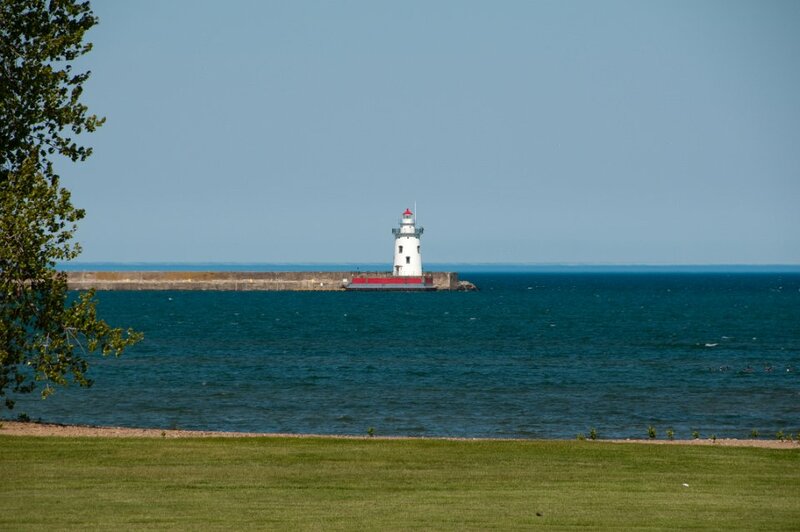 The Harbor Beach Lighthouse is a "sparkplug lighthouse" located at the end of the north breakwall entrance to the harbor of refuge on Lake Huron. 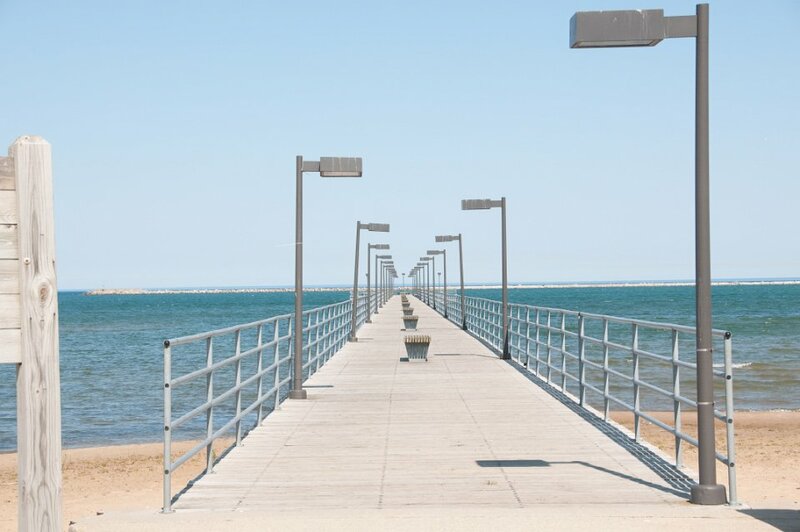 The breakwall and light were created by the United States Army Corps of Engineers to protect the harbor of Harbor Beach, Michigan, which is the greatest man-made freshwater harbor in the world. 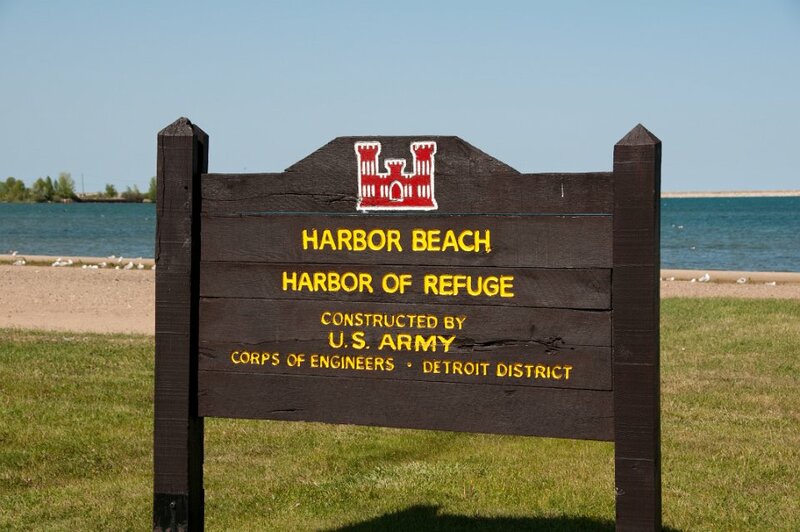 Harbor Beach is located on the eastern edge of the Thumb of Huron County, in the state of Michigan.